A new world overrun with demons is what we find on the pages of Rise of the Demons, author Willow Cross' first installment in the Oceans of Red series. Today's blog tour is presented by YA Novel Reader and we are posting our review of this novella. By 2015 the streets of Los Angeles have been transformed from a thriving metropolis to a hostile world ravaged by demons bent on assimilating the human race. Standing between this total apocalypse of humanity and their chance for survival is 19 year old Remy Martin. everyone you’ve ever known and loved. Willow Cross resides in Arkansas with her husband, two children still young enough to live at home, an enormous cat named Bitsy, and a scaredy-cat dog named Tank. Her home has been known to host the occasional ghost, and a few of her friends profess to be witches. Although she dearly loves Vampires and Werewolves, they are never invited for dinner. Rise of the Demons was a very nice surprise and I'm certainly glad I was given the opportunity to read the first novella in the Oceans of Red series. Evil has broken through a sacred seal and demons inhabit the earth in 2012. The opening sets the scene for readers as we witness the destruction of this seal and see what happens to the protectors who were guarding it. Jump ahead to present day, 2015, and we meet Remy. She is 19, a tough warrior, groomed by her military father and fighting the never ending battle against demons. The demons travel in black clouds and enter a human, making that person their host. The demon has full control, silencing the original inhabitant somewhere inside, while imbuing the body with its power and abilities. One can tell demons by their glowing red eyes. Remy's family--older brother, Greg, who shares his father's height and muscles, and younger sister, Shane, 15, a genius--are all involved in this fight for survival. Remy may be short but she has more demon kills than Greg while Shane remains back at their warehouse facility, learning what improvements their scientists have developed to fight the demons. But it is not only the monsters outside that Remy and her siblings have to deal with. Their father is still stuck in his ways of thinking from his service days. Remy is the only one who stands up to him and gets into trouble when she doesn't obey his direct orders. When Greg devises a plan to get into the facility where the humans are taken and changed, Remy scoffs, remembering what she had to endure when she came home from school to find her mother a demon. Fear of losing what is left of her family, she won't join his plan. Determined, Greg enlists Shane's help, and they finally sway Remy into joining them when a planned group attack backfires on them. Can this strong-willed teen enter the enemy grounds with her mind wiped and have a demon take over without losing control of her mind and body then return to the ones she loves? 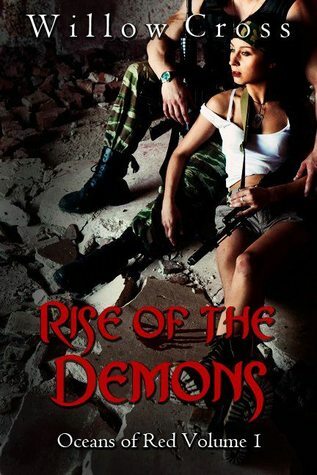 Willow Cross has created memorable characters and an intriguing futuristic world in Rise of the Demons. Fast paced, well written dialogue, and a group of demons headed by Lilith makes this a refreshing read. I have to admit while reading quite a few scenes reminded me of various episodes of Supernatural, especially the demons flying out of mouths in black masses. With such a short length, I expect to see more character development (especially Greg and the Druid sorcerer), more shed on the demons and this plan the Martin siblings have concocted in volume two. For a warrior, I had a hard time picturing Remy in a leather jumpsuit kicking, spinning, and wielding a sword. The editing was decent and I've become invested in Remy's situation. I wonder what will happen with her connection to the Druids and if she is "the one" they need to win the battle. Favorite excerpt: ""This is not about Mom. This is about human beings. Every day I leave here to kill human beings. The demons aren't dying. They just keep coming back in different human beings." His eyebrows moved up as he fixed his steely blue eyes on her. She locked eyes with him for a moment before expelling an exasperated breath. Breaking his gaze, she stood and began picking papers off the floor. The coffee maker made a swooshing noise. After laying the papers on his desk, she poured a cup. "Two creams, one sugar?" "Black today. Dr. Rosin says I need to cut back on sugar." Remy nodded. Setting his cup in front of him, she said, "We have no hope of winning when they have all the numbers. You taught me that."" Cover comment: I'm not convinced by this cover. Remy doesn't strike me as one who would be in that pose and certainly not next to Greg like that (there's no reference to another guy she'd be lounging next to). 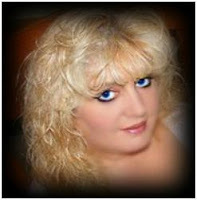 Book source: I received a promotional e-book from the author in return for my honest review during a book tour.